Jose “Joe” Soberano III was only 42 years old when he decided to retire from his corporate job to pursue his political ambition to become a congressman in Cebu province. Unfortunately, he did not win in the elections, losing by a small margin to his closest opponent. He wanted to recover and planned to run again in three years. One day, Soberano stumbled into an offer to buy a small welding and fabrication company that was doing subcontracting job with a shipbuilding company in his district. He became interested in the company not for its business but because he wanted to find a reason to visit his home district regularly, which is located in the countryside. He thought that by being visible and employing residents in the area, his presence could help him win in the next elections, while making a little money on the side from the fabrication business. Little did he know that the small company he acquired for his political plans would later lead him to discover his passion in real estate. It was in one of his regular visits in his hometown when Soberano noticed that most of the industrial workers in the area, including his own employees, do not own a house. He thought that there was a good opportunity for him to offer a housing project for the people there as a form of public service. Soberano soon found a three-hectare property and developed it into a subdivision. When he launched the project, it was sold out immediately. The project was so profitable that he decided to put up his real estate company named after his mother-in-law’s long dissolved firm, Cebu Landmasters, to focus on developing housing projects in nearby districts populated by industrial workers. 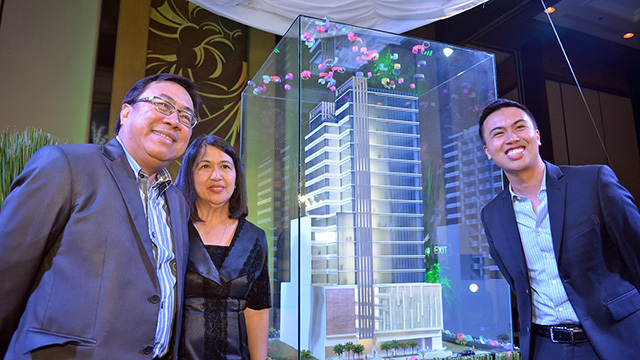 Today, Soberano is the largest housing developer in Cebu with his company Cebu Landmasters emerging as the premiere property developer in the Visayas-Mindanao region. 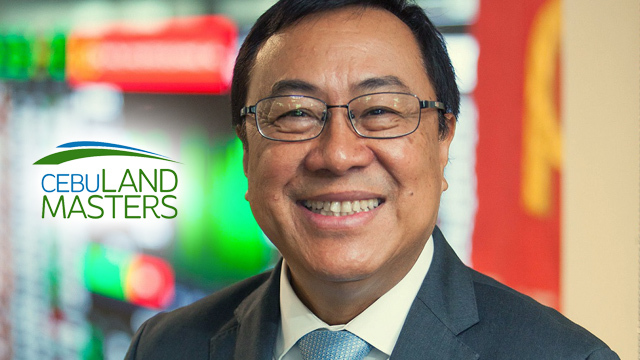 In 2017, Cebu Landmasters listed in the Philippine Stock Exchange to raise Php2.8 billion from the public to finance its expansion projects. It currently has a market value of Php7 billion. How did Soberano overcome the challenges of competing against the giants in the real estate industry? How did he grow his company to be one of the most dominant players in the Vis-Min region in 14 years? Having the right business experience can spell the difference between success and failure of your company. Soberano, who has 23 years of corporate experience in different capacities with Ayala Group, used his familiarity with the real estate business to innovate new ideas that would set his company apart from competition. “The best teacher I had over the years was experience,” Soberano says. “When I was in Ayala, I was part of the Vis-Min team that handled Cebu. But unlike in Manila where you get to handle only one part of the business—for example, the commercial center—in Cebu, we were like mini-Ayala there because we handled everything from the malls, residential condo and other developments. Understanding capacity building is essential to an organization’s ability to grow with the business. Soberano realized his limitations when his company was growing very fast. He asked his eldest son, Franco, who graduated with an MBA from Columbia University, to help him identify the potential bottlenecks in the organization. “When I started my real estate business in Balamban, I did all the conceptual planning and the legwork. We were only two in the company,” Soberano says. “But as we grew, we realized we were handling projects with only 20 people compared to the other companies that have probably 10 times more than we had. That’s how efficient we were. One way to differentiate your product from your competitors is to recognize and address the “pain points” of your customers. Soberano set his company apart from the competition by focusing on how they handle their projects to ensure timely turnover and product quality. “Big developers normally will hire a third party project manager to handle project, but not in my case. I have my own team to do this,” Soberano says. “A third party manager will just give you a history of what happened but if you are really on your own, this is part organic to you. There will be people there on the side knowing what to do and how to address the issues immediately. Understanding the dynamics of your product costs is the first step in developing an effective pricing strategy. Soberano developed a pricing strategy that allows him to maintain his margins despite increase in material costs and interest rates recently. “Your prices should be competitive. The real secret is how you manage your costs. If you manage your cost well, you get your margins,” Soberano says. Succession planning can make the leadership transition easier when the decision-making structure can change the company in the future. Soberano, who has four children, believes that planning ahead can help set expectations of everyone’s role in the business. “As a family, we are always looking at the future. We want to strengthen that bond some more with clear understanding of our roles moving forward,” Soberano says. “What if a member of the family just suddenly decides he doesn’t want to be in business? What kind of structure or understanding should we have? How about the in-laws? Where do they come in? These things have to be defined. “While I still have the appetite to run the business, it doesn’t mean that my role will not change. As we move through the years, my eldest son can become the CEO while I will be more strategic and at the same time doing what I love to do, which is making deals.